Starbucks releases 6 new Frappuccino flavors that sound super sweet - trendistic.com: ever tried. ever failed. no matter. try again. fail again. fail better. 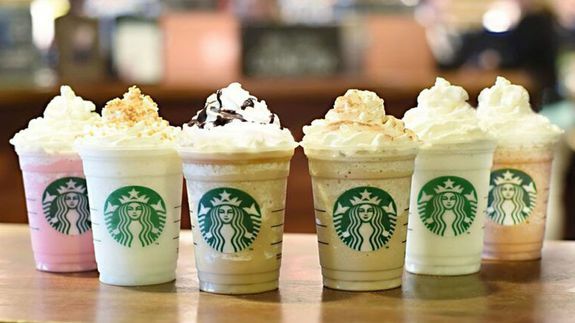 In honor of the 20th anniversary of the illustrious Frappuccino, Starbucks has release six new flavors: Cotton Candy, Caramel Cocoa Cluster, Lemon Bar, Cinnamon Roll, Red Velvet Cake and Cupcake.